Lock in a great price for Dar El Yasmine – rated 8.7 by recent guests! Everthing is excelent and nice. The food breakfast is very nice. We will come Back again. The staff was absolutely wonderful. Issam and Abdul both went out of their way every day to make sure our stay was comfortable and enjoyable. They recommended local restaurants, walked us to places to ensure we found them, arranged a medina tour and a driver out of the city for a day trip for us, and asked for our feedback about those services to ensure positive experiences for future guests. We stayed there with our 4 month old daughter, and when our heater stopped working one night, they went home to get one for us to ensure we were comfortable that night. Issam also arranged a local meal to be brought to us to eat at the Dar on New Year's Eve, which was delicious! Large and yummy breakfast and a great location (right near shops and restaurants and about a 5 minute walk to parking), but it is the staff that makes this a place worth visiting and returning to in the future. Very hospitable and nice people. They had a carry out breakfast which was very nice. We liked the location. It wasn't hard for us to orientate as this place is close to the blue gate. This is one of the best places I have stayed. The stuff is very helpfull and the breakfast is super. Perfect location. Clean room. Nice breakfast. Had the best butter with honey. Jamal is a fantastic host and makes sure everything is taken care of. Can book tours directly through him. The hostel is very nice and has a rooftop balcony. Breakfast was also delicious and one of the best I've had on my 3 month journey. One of our best sellers in Fez! Located in the heart of Fez’s medina, a 5-minute walk from the Dar Batha Museum, this traditional riad offers a terrace with views over Fez. Free Wi-Fi is available in all rooms and meals can be enjoyed on site. Guest rooms have a traditional Moroccan décor and are equipped with air-conditioning. Each room has an private bathroom with a shower. A continental breakfast is served each morning at the riad and can be enjoyed by the fountain in the patio. Guests can also taste characteristic Moroccan dishes during their stay. The riad offers a lounge with a TV where guests can relax. Staff cater to guests’ needs 24 hours a day and are available to help organize excursions and airport transfers for a supplement. When would you like to stay at Dar El Yasmine? This air-conditioned room has a traditional Moroccan décor and free Wi-Fi internet access. This air-conditioned room is decorated in a traditional style and has a private bathroom which is fitted with a shower. This air-conditioned room features Wi-Fi access and a private bathroom. This family room features a patio, tile/marble floor and air conditioning. House Rules Dar El Yasmine takes special requests – add in the next step! The gently and hospitable people who works there. An that it is not far from the gate to medine. We would defiantly recommend Dar El Yasmine to anyone visiting the beautiful city of Fes, not only because of its ideal location and exquisite looks, but also because the hosts are friendly and make you feel relaxed and at home. We had an excellent 5 nights stay in Dar El Yasmine. 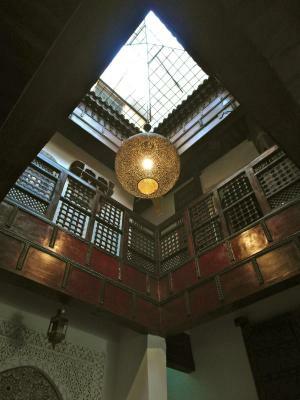 This traditional riad is situated in the Medina five minutes’ walk from the famous Blue Gate. This location was ideal to walk through the markets and visit the mosques and other interesting places. A taxi was waiting for us on out arrival at the airport as promised. Nourdine welcomed us and helped us take our bags from the taxi to the hotel. He prepared traditional mint tea for us and gave a detailed map of the Medina and recommended places to visit and eat. Nourdine and his college Issam were helpful during our stay, they made sure that everything was fine, and we were having a good time during our stay. Our Standard Twin Room on the second floor was specious. It had traditional colorful windows and was well maintained. There were extra blankets available which we had to use as it got a little colder at night. High speed Wifi was available all over the property. The stairs can be uneven at some steps, but it’s not a big deal. You get used to it. But better be a little careful on your first day. Delicious breakfast with fresh traditional breads and fresh fruits was served every morning between 9 am and 11 am. Issam was kind enough to pack us our breakfast earlier at 8am as we gad to leave for a tour. We also appreciated the roof top which gives a decent view of the Medina with the mountains in the background. When it was time to leave, we were about to take the taxi to the airport, Nourdine came to say goodbye to us, even though it was not during his working hours. 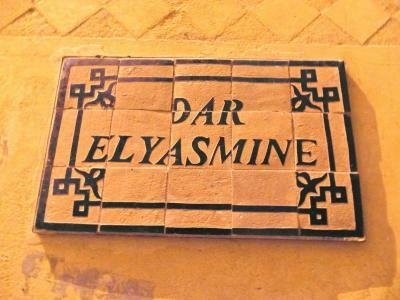 We’ll stay at Dar El Yasmine next time we visit Fes. I didn't like that the room wasn't so clean and it was very cold because the air conditioner wasn't working. The breakfast was good, people were hospitality. Price-quality was ok. The bathroom needs attention, tap and toilet is loose. Breakfast very good. Central location in the old medina. Rooms spacious and clean. There was a cat pee smell everywhere. There were some kind of bugs in the room, two out of four people woke up with huge bites. The location was great. Short walk to main attractions in old city. Dar El Yassmine is located in the old medina so it is very close to shopping and tourist attractions. The staff could not be more helpful and they even took the time to help us decide our itinerary for the trip and check prices for travel. Everything was comfortable and clean. There is also a rooftop that is a great place to relax! We could only pay with cash. The way they treated us was amazing. He helped us with everything we needed and was always making us feel better. It was very noisy, the room was next to the main "hall" with reception and breakfast tables and had a window to the street which could not be closed where there was a public fountain people used even late in the evening (like after 11). The bed was laid through in the middle. The shower leaked into the bathroom if you had a long shower (washing you hair etc.). The location is very good, breakfast was good, staff was helpful with information. They give you a map of the Medina. The beds were hard but, hey!! Pick up from the airport was not done as promised. Staff were pushy to sell things which were actually not good. Additional night was promised to stay - however transfer to a different place was done, this place was horrible, no sink, toilet flush did not work. Big scam and would never return. 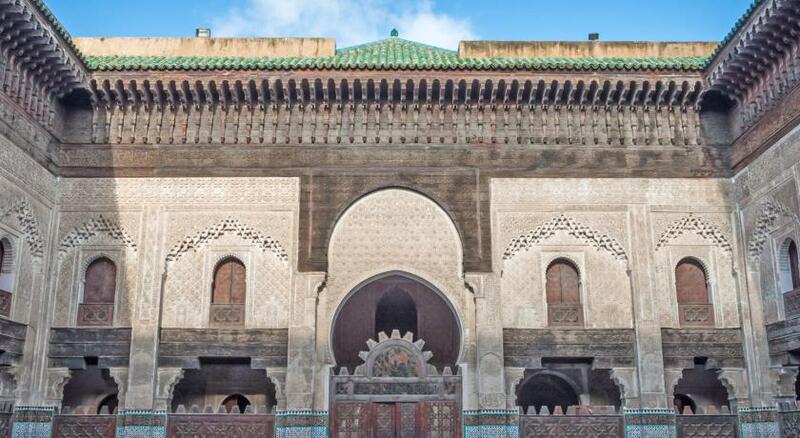 I would never return to Fès, there are way nicer places in Morocco! A lesson happy to have learned. However, the included breakfast was superior! The young guy was very kind with all of us. The room was warm enough (we have been here in january). The position is excellent, even if we had to park the car 5 minutes by walk (there are a lot of cart that help you with your luggage for 20 dirham. I wouldn't recommend to take a tour with the Mohamed - their tour agent. His prices for Sahara trips were much higher than other agencies. As I've found with any stay in a medina in Morocco, rooms could use an update. The baby bed didn't open/lock on two of the sides, though it still served the purpose.